kandeej.com: My Candyland Holiday House Tour & Video (yay!!!! Little glitter reindeer striking a pose. 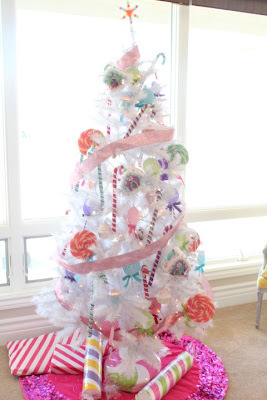 White wreath with lollipops from Target. 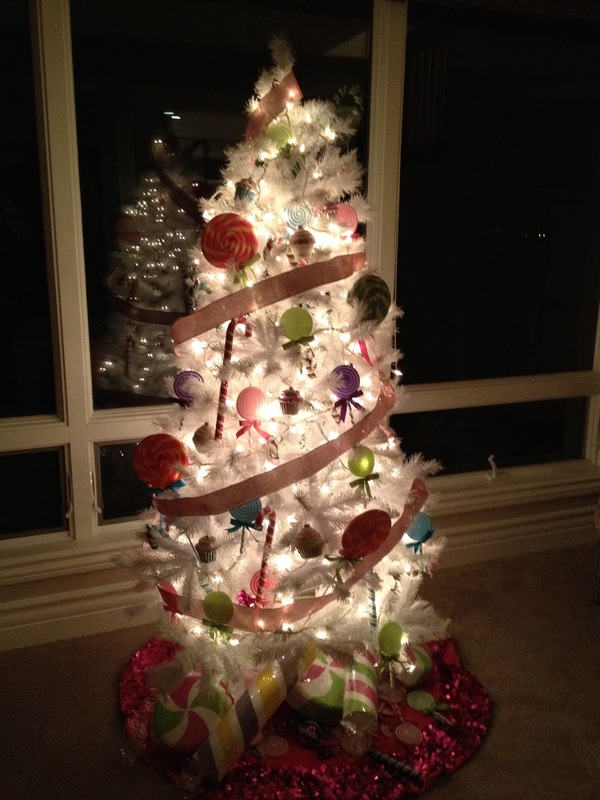 I love this "candyland-ish wreath". 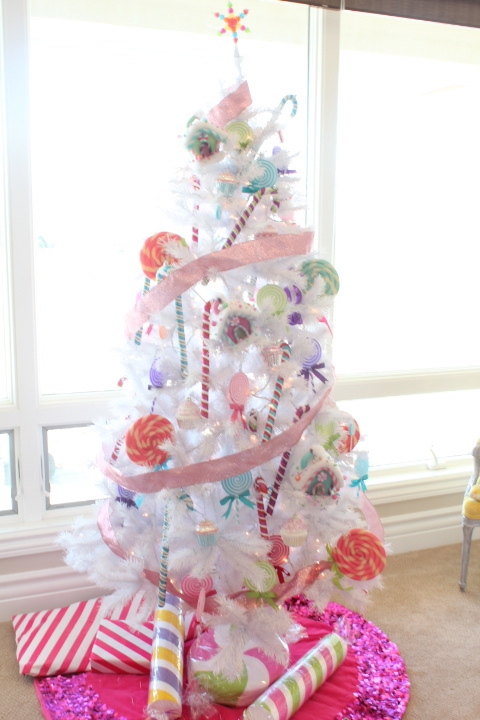 And here is my lollipop and cupcake tree! 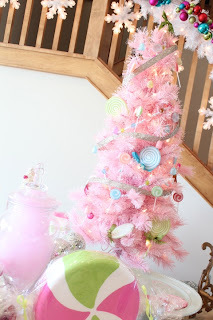 Gumdrop tree topper, foam lollipops, and glitter ribbon from Michael's. 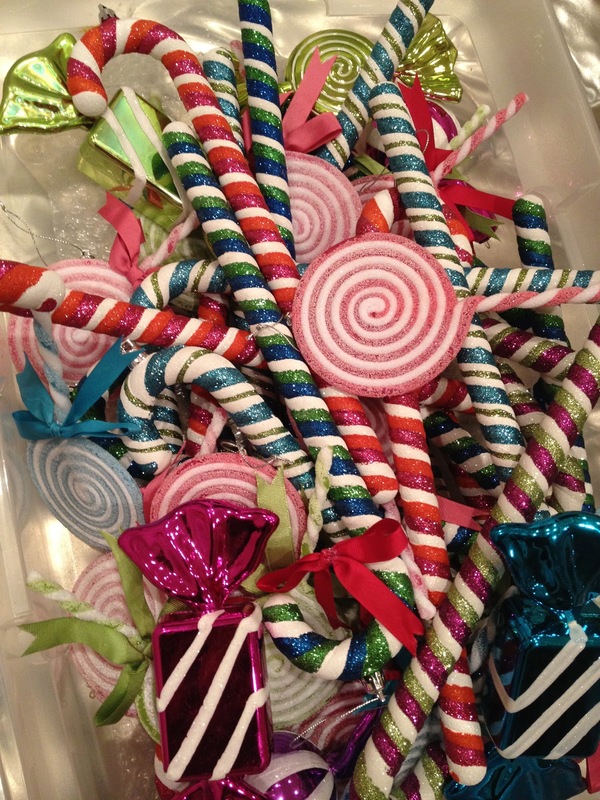 Glitter candy canes and lollipops from Target. Cupcakes were all given to as presents through all the years. Glitter tree skirt from Target. 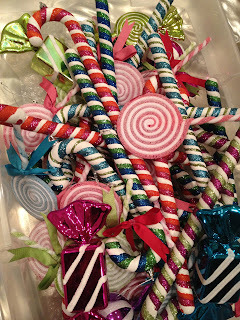 I also put tulle into glass candy jars to make it look more candyland like. 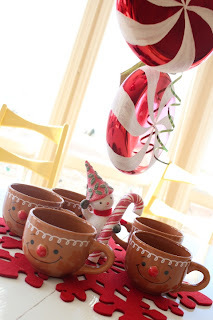 And put my cakestands out with candy canes on them. Dining room decoration.....peppermint pinwheels and gingerbread mugs. 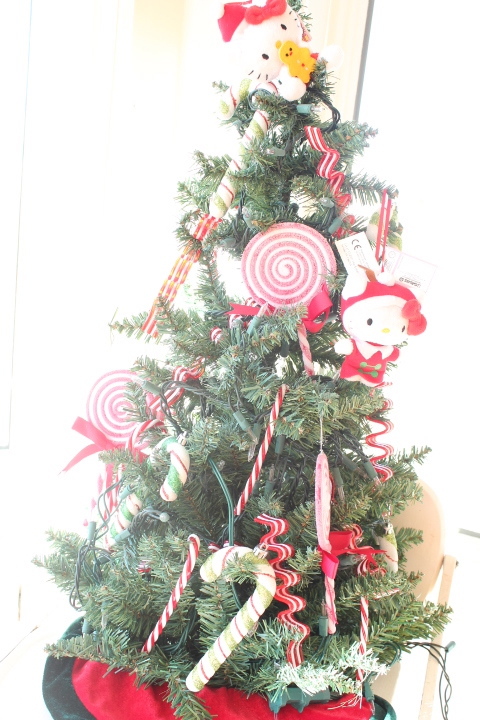 Here's our "miniature tree in the dining room"....like the hello kitties!? 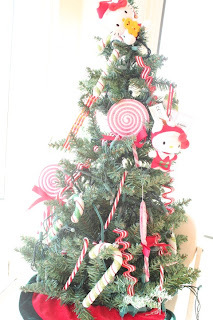 old garland from target with a bow and snowflake from Michael's. 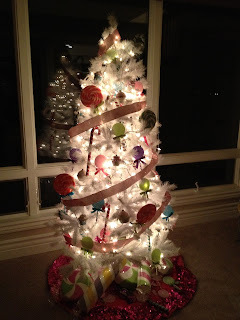 This is my clearance tree special, that I didn't really like, but Jordan said is was the more "masculine" tree....so I put it up, with out old garlands and giant candies from Michael's (I love that place!). We even have the Gingerbread man, room scented things from Bath & Body Works! 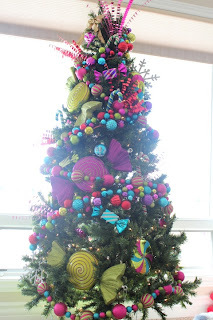 Hi Kandee, I was just wondering if you would ever considering to sell your Christmas decorations in the future. Only reason I am asking is that I am from Guam and we don't have store's like you do to go and get those deco's like the one's you have. 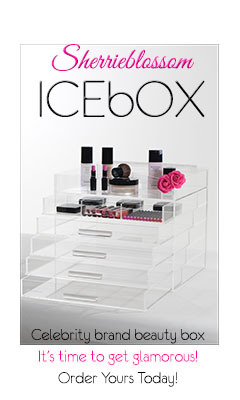 Did I mention have BEAUTUIFUL YOUR HOME IS, I LOVE IT. PLEASE LET ME KNOW. YOU COULD EMAIL ME @ lmquinata@yahoo.com. Thank you and Happy Holidays to you and your family. God Bless! !